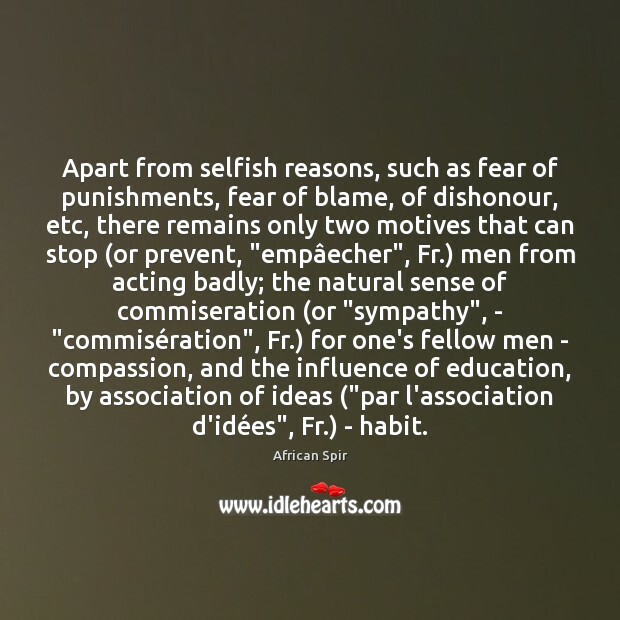 Quotations about Acting Badly. Quotes to stimulate mind and drive action! Use the words and quote images to feed your brain inspiring things daily! 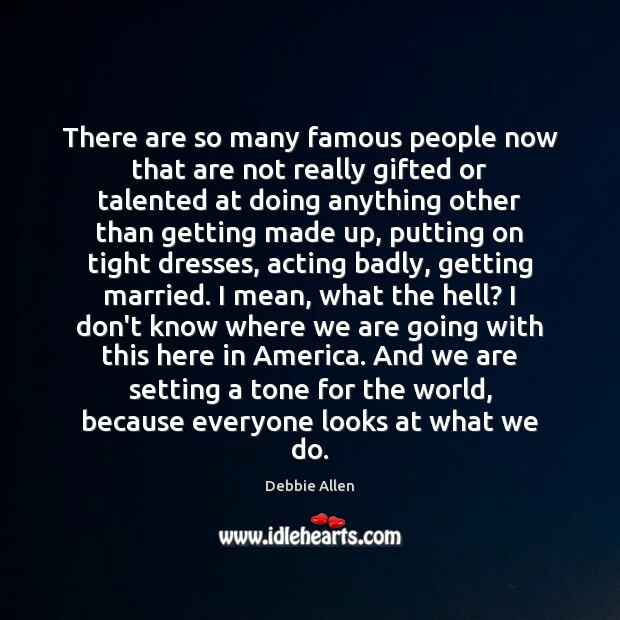 There are so many famous people now that are not really gifted or talented at doing anything other than getting made up, putting on tight dresses, acting badly, getting married. I mean, what the hell? I don't know where we are going with this here in America. And we are setting a tone for the world, because everyone looks at what we do. 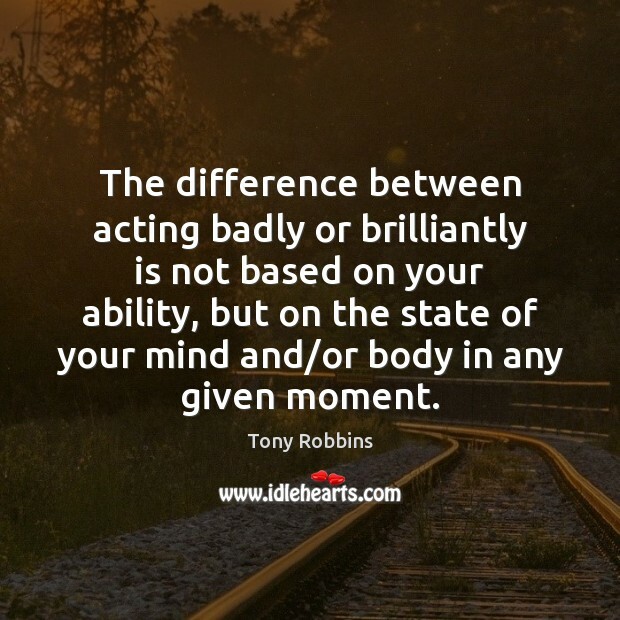 The difference between acting badly or brilliantly is not based on your ability, but on the state of your mind and/or body in any given moment. In his apology, Arnold Schwarzenegger said he was sorry to the women that he groped, and he admitted that he had acted badly. Not only that, Arnold then apologized for acting badly in all of his movies. 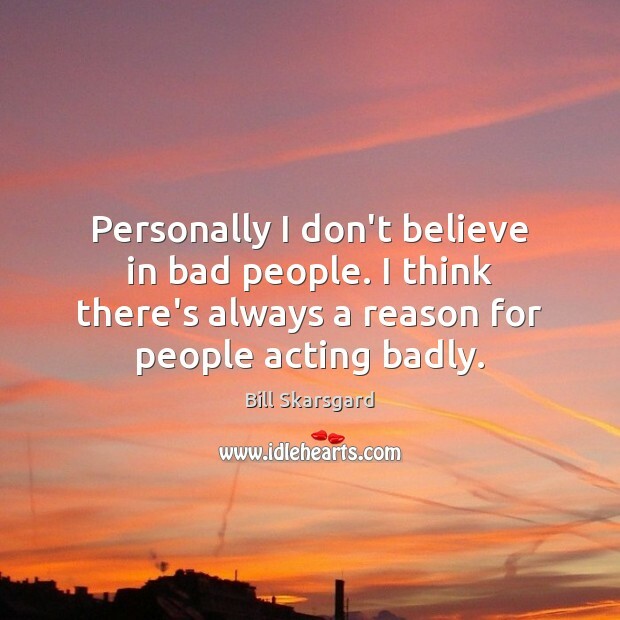 Personally I don't believe in bad people. I think there's always a reason for people acting badly. I do not believe in public shaming. I do believe that young adults go to college to learn things, and that this process will almost inevitably result in their making mistakes and misjudgments and otherwise acting badly.